Woo Hoo!! 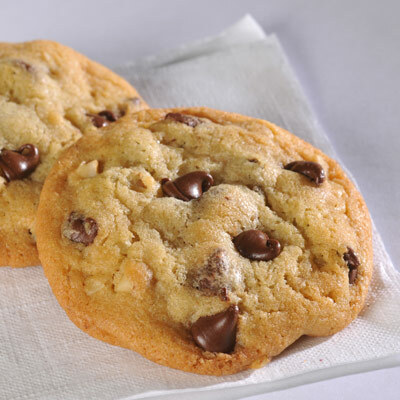 Let's hear it for Chocolate Chip Day! Now I'll let you in on a little secret... I don't like chocolate chip cookies. I like the cookie part, just not the chips. See, when I was little and my mom made chocolate chip cookies, I would eat around the chips and throw them away. So my mom starting setting some dough aside and making a few chocolate chip cookie dough cookies, no chips just for me. Ahhh :) Thanks MOM! Warms your heart doesn't it. For all the rest of you that I know LOVE chocolate chip cookies, Enjoy! Original Nestle Toll House Chocolate Chip Cookies. The mother of all chocolate chip cookie recipes. Or so I'm told. 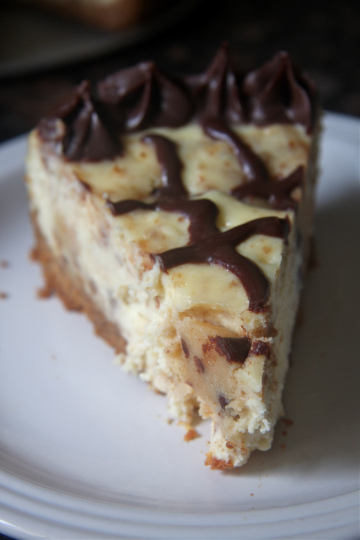 Chocolate Chip Cookie Dough Cheesecake by The Bite Sized Baker. So much prettier than how I utilized chocolate chips yesterday. Ahem. 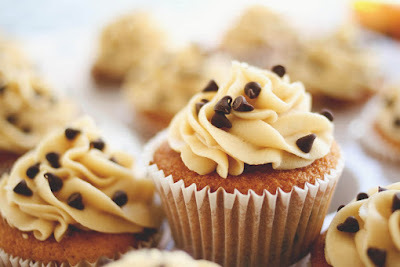 Yes, I saw how you utilized your chocolate chips and thought the idea was really cute.